NFL Commissioner Roger Goodell made the dreams of a Tarrytown firefighter come true on Sunday, personally delivering tickets to the Super Bowl. A New York firefighter who was diagnosed with brain cancer in November will fulfill his lifelong wish to attend the Super Bowl next month. Bill Duggan, a volunteer firefighter in Westchester County for more than 20 years, is gearing up to watch the Philadelphia Eagles face off against the New England Patriots in Super Bowl LII. After his best friend’s son Mike started a GoFundMe campaign, the community pitched in to help Bill check the big game off his bucket list. 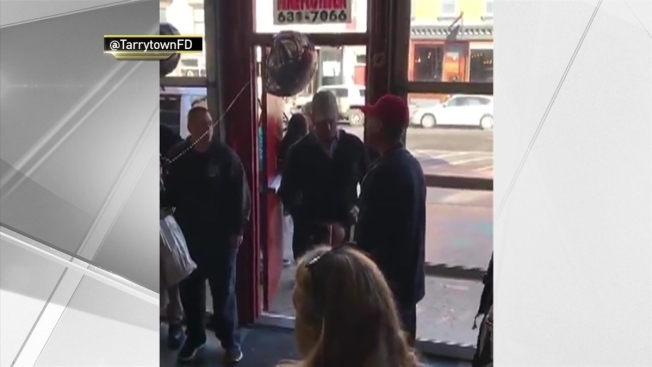 One thing lead to another, and NFL Commissioner Roger Goodell surprised Duggan with four tickets to the big game in Tarrytown at the Main Street Firehouse known as "Hope Hose." Duggan said he is excited about the big game, but he's more excited to overcome the disease. "I have a 5-month-old grandson and I want to go fishing, football, baseball…I’m going to beat this,” he said. Still, Duggan said he's looking forward to seeing his favorite team, the New England Patriots take the stage in Minnesota next week -- and hopefully win their record-tying sixth title. "Couldn’t get any better than that," he said.